I read in my literature class once “My heart is warm with the friends I make, and better friends I’ll not be knowing, yet there isn’t a train I wouldn’t take, no matter where it’s going.” It struck a chord within me, as if these lines were written for me. Maybe that was the time I realized that I was truly bitten by the travel bug. It made me think about all the amazing train journeys I’ve made within and outside India and also made me long for many more such journeys. Real, fictional, magical, all train journeys will work. Maybe one day I’ll find myself at platform number 9 ¾ waiting to board the Hogwarts Express. But I digress. Let’s talk about magic some other day, for now let’s start by talking about some of the best and most incredible Indian Train Journeys. Do let me know in comments if you have been on any of these train rides in India and how your experience was. 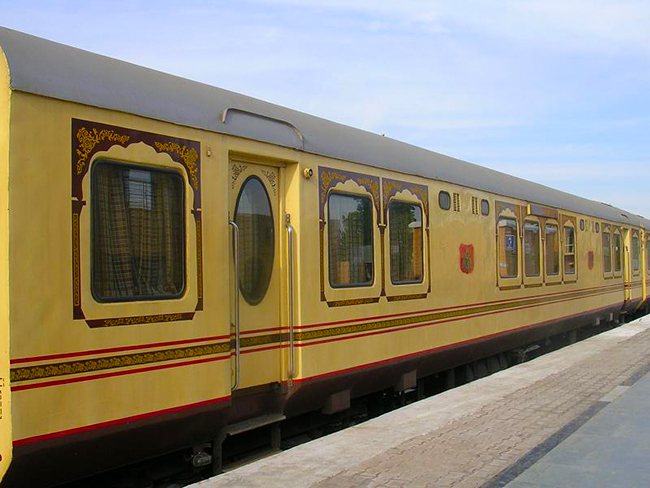 I bet everyone knows about Palace on Wheels – India’s first ever luxury train. It has everything – exotic locales, the desert, being treated like royalty and a unique, once-in-a-lifetime experience. The all-inclusive journey of 7N/8D will cover most of Rajasthan’s highpoints and will even take you to see the Taj Mahal in Agra. 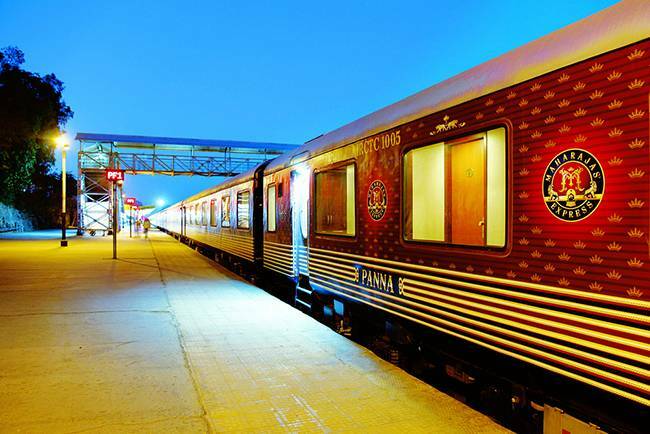 Besides being decked up with all the splendour of Rajasthan, the train also has all the modern amenities, such as attached bathrooms, wifi, air conditioner, restaurants, and so on. 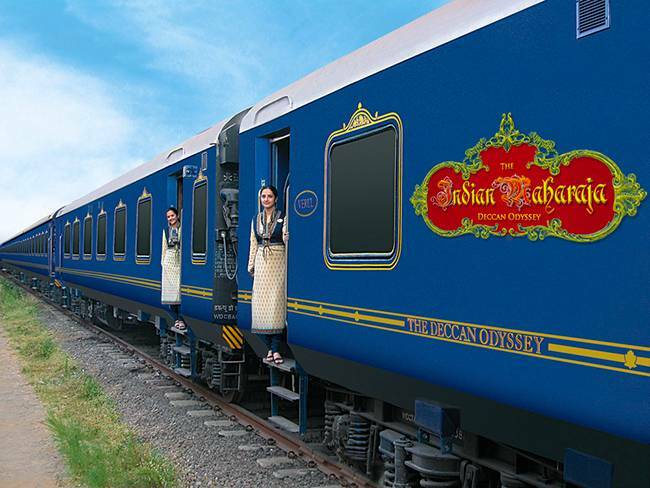 Royal Rajasthan on Wheels is another popular luxury train tour that focuses exclusively on Rajasthan. 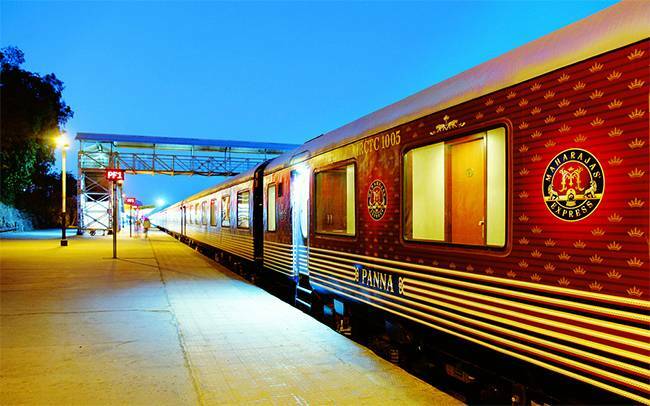 Newly opened, the Maharaja Express gives you 5 different pan India travel itineraries to choose from. The shortest being 3N/4D and the longest one at 7N/8D, the journeys cover some of the culture capitals of Northern and Central India. Palace on Wheels started the trend and some of these royal-themed train journeys follow it, treating you like a royalty that is. The train operates only during the months of October to April. What started as promoting luxury train tourism in Maharashtra soon fanned into something bigger. They now offer a pan India package that starts and ends at either Delhi or Mumbai and the duration is of 7N/8D. Travelers enjoy their journey in comfort by relaxing in luxuriously designed cabins and also partake the onboard services that are managed by the Taj Group of Hotels. The itinerary covers Sindhudurga, Goa, Kolhapur, Ajanta and Ellora, Sawai Madhopur, Udaipur, Jaipur and Agra. This is South India’s answer to Palace on Wheels. 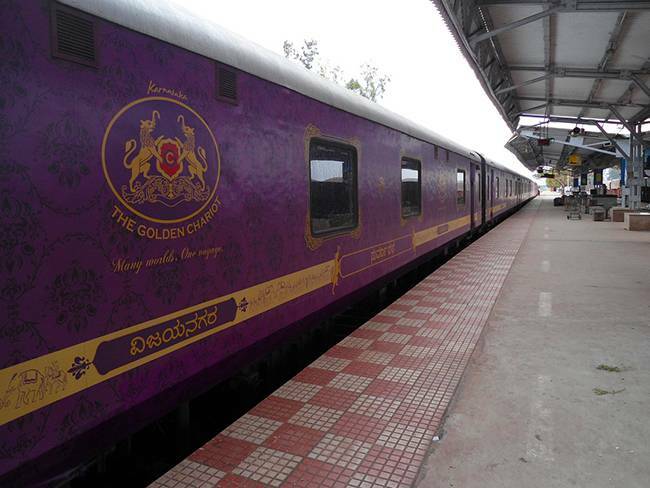 Operating on two different tour circuits (each for 7N/8D), Golden Chariot lets you enjoy royalty the South Indian way. 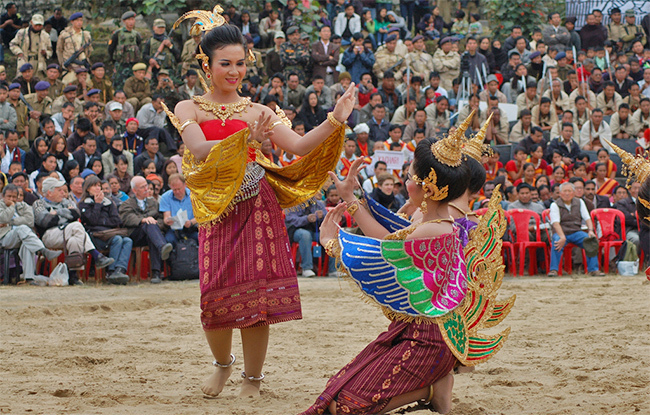 The Pride of South takes you to forts and palaces, tiger reserve and UNESCO World Heritage sites. And the Southern Splendour takes you on a temple trail of South India and also covers Pondicherry and Kovalam. Each tour departs from Bangalore and the train interiors are tastefully designed, inspired from Hoyasala style architecture. Each cabin is fully furnished with all the latest amenities. The chhaiya chhaiya train! Before Shahrukh Khan got on the Chennai Express and after he eloped with Simran in Dilwale Dulhaniya Le Jaayenge, he created history by dancing atop a moving train with several other dancers and swayed to the beats of ‘chhaiya chhaiya’. This was that train! 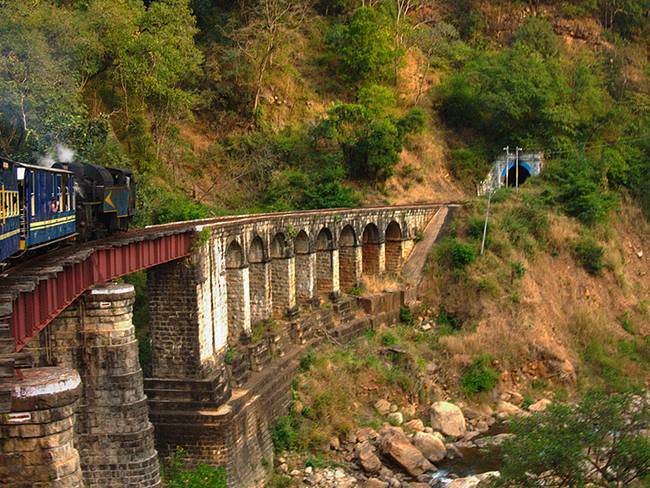 The Nilgiri Mountain train runs on steam engines and runs between Coimbatore (Mettupalayam) and Ooty. Bollywood’s romance with trains and mountains continues. Guess where was ‘mere sapno ki raani’ filmed? In Aradhana, Rajesh Khanna serenaded a coy Sharmila Tagore who was riding this train. More recently, Barfi and Parineeta also featured this train. 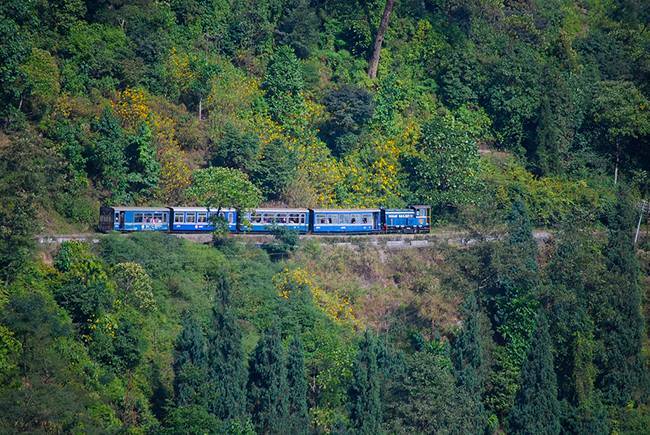 This train, also known as ‘toy train’ runs between New Jalpaiguri and Darjeeling and meanders through cities, towns, hills and highways. Constructed during the British Raj, this train traverses through the mountains of Himachal Pradesh, offering the most breathtaking views along the way. 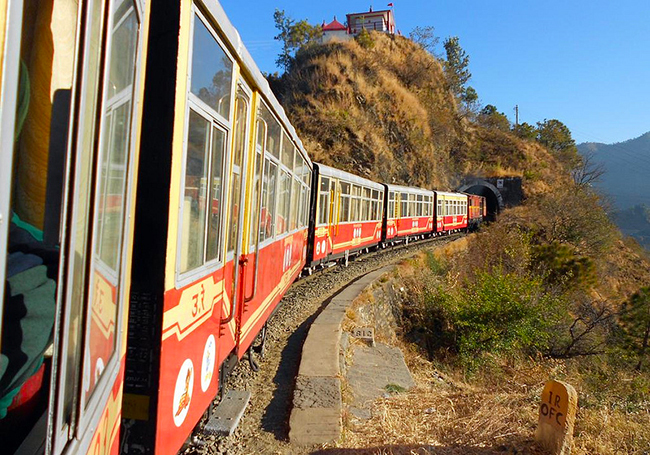 The 96 km journey from Kalka to Shimla can also be done through a luxury coach offered on this line – the Shivalik Queen. Interestingly, Nilgiri Mountain Railway, Darjeeling Himalayan Railway and Kalka-Shimla Railway are collectively known as Mountain Railways of India and are designated as UNESCO World Heritage site! It covers a distance of 164 kms from Pathankot, Punjab to Jogindernagar, Himachal Pradesh and passes through Kangra and Palampur. Dharamshalaand McLeodGanj are close from Kangra station. 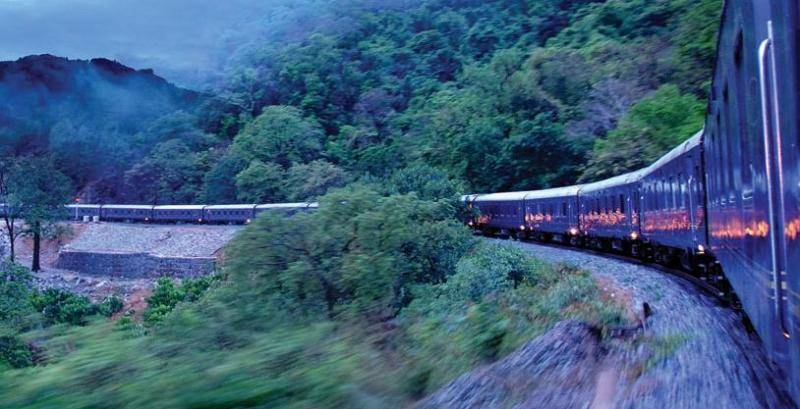 This fairy tale like train journey passes through forests, hills and all that nature has to offer. The train moves at a relaxed, easy pace, giving you plenty of opportunity to take in the snow-capped Himalayas and the beautiful scenery of the mountains. 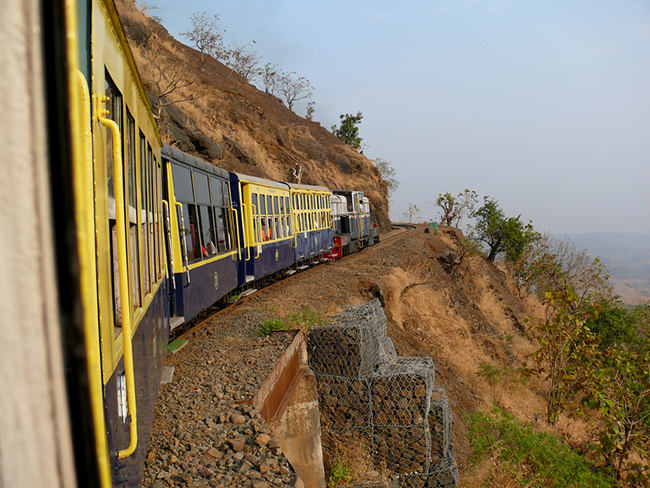 This ‘toy train’ runs from Neral to Matheran and passes through the lush green forests of the Western Ghats. It will soon complete 100 years of operations. Pretty remarkable! The journey of 21 kms takes about 2 hours and 20 minutes, and gives you an opportunity to slow down your pace. Consider departing from Neral station in the morning so that you have rest of the day to explore the pollution-free environment of Matheran at your leisure. Go from Mumbai to Goa on Konkan Railway, preferably take the day journey and enjoy the breathtaking views enroute. There are several trains to choose from, Mandovi Express, Konkan Kanya Express and Jan Shatabdi express. 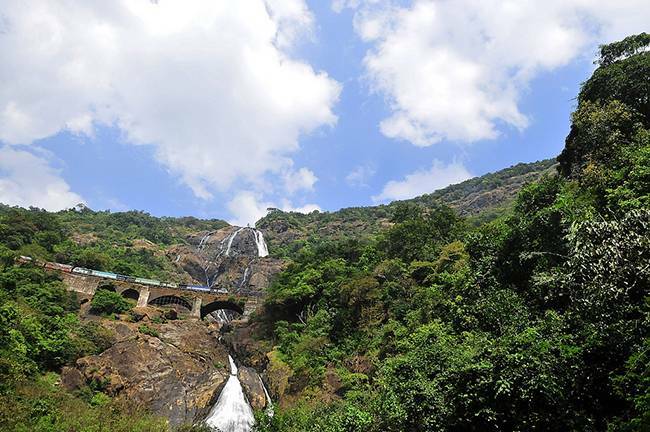 The train goes through a remarkable 92 tunnels, crosses 2000 bridges over numerous rivers and streams and takes you on a picturesque journey through paddy fields, coconut plantations and hills of the Sahyadri ranges. 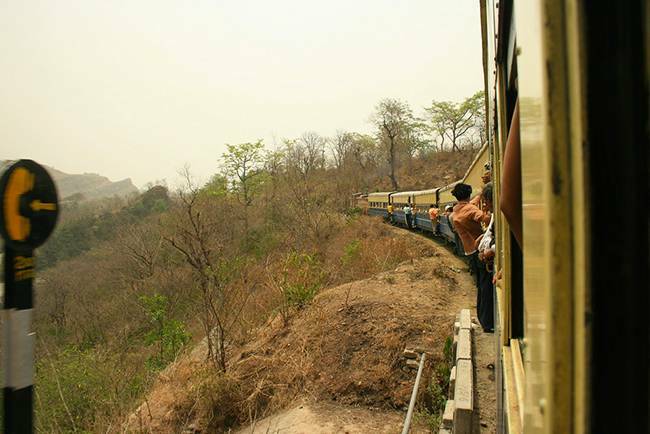 So which is the best and most unforgettable train journey you’ve taken?